MOTD Jumpscare EE is Nero? I was browsing the COD Zombies subreddit when I saw someone post this image with the title "There is a slight resemblence, what do you think?" Many people generally accept the "guy" in the jumpscare image is Russman, or no one/nothing of significance. Credit does to Reddit user TheResort. Such a coincidence, my friend was telling me about this theory as I loaded up cod z. But just looking at the pictures shows they are nothing alike. The mustache is thinner on Nero, he has a different shaped nose, the shape of the brows are different too. The only resemblance that is there is that both of their heads are tilted. I always thought the jumpscare guy was Maxis since its when you aim at the orange fireworks that represent his side and theres blue ones on the other side of the roof. When they were making that image of Maxis for the Origins trailer, they got this rough copy and thought it was scary so it became the jumpscare but thats just my theory on it. Little similar. I think it looks more like Nero than Russman anyhow. Somehow, it would be really cool if it turned out it was him. I honestly thought it was more or less a depiction of God. Y'know, with MotD being in a satanic environment and all. There are a few similarities, but the goofy eyes are really throwing me off. Plus, yeah the nose looks a bit different compared to Nero's. I wouldn't count it out, though; Treyarch claimed these were linked in some fashion (as we have theorized many aspects on why it's connected) so there's a pretty damn good chance this jumpscare wasn't for nothing. 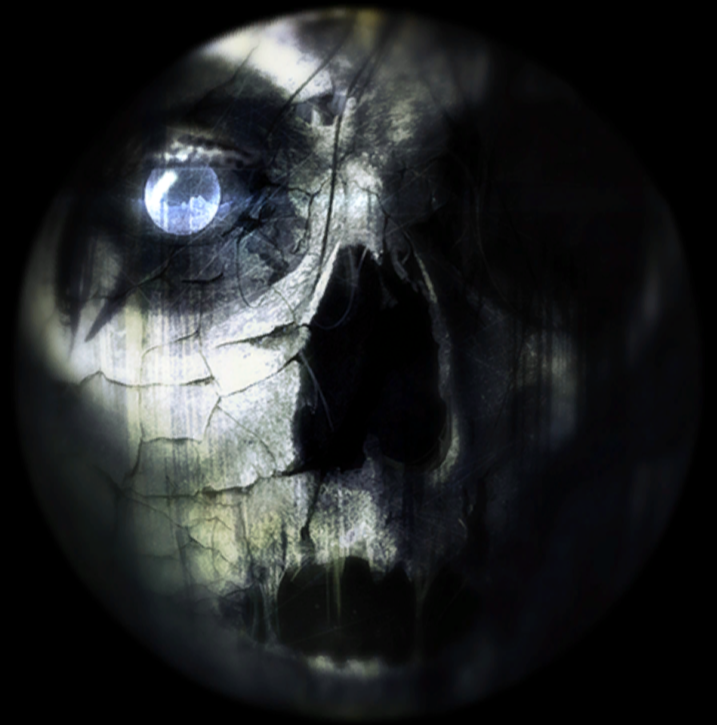 I mean, look how connected Origins' jumpscare image was to the theme. Did anyone figure out what the Origins one was? Campbell? Jessica? Three Face? To be honest they could be linked to something but I always thought the conditions you do the jumpscare in mattered, thats why I think its Maxis not Nero. I don't know what a church has to do with though but all I know is that the Origins one has a moon in its eye so it could mean something.
? It was a girl's face but with skeletal features, as if undead. I can definitely see the Moon in its eye, though; the dark part being space and the bottom being part of Griffin Station. Not many women it can be: Samantha, Sophia, Misty, Jessica, Sarah Michelle Gellar? I would bet on the first two mostly out of anyone, unless both jumpscares really have no relevance whatsoever. Eh, I don't know. I suppose I can kind of see it, but as of now I'm not entirely convinced. Could it be the Shadow Man possibly. It doesn't really look like him. The only reason I think people have made this link is because of the angle the heads are at and the fact they have facial hair. Thats where their similarities end. I'm pretty sure we missed something here. There may have been a riddle that we never pieced together, and I think I heard it today after missing it a million times in the past. More to come when I get off work. I wanted to revive this thread because, now we know that Shadows has been worked on for roughly the last 2 and a half years, the idea that the face in the jumpscare is Nero holds more water now. Treyarch would've been very early on in the development of the map and characters etc, hence why Nero doesn't look exactly like the jumpscare. Or, on the other hand, they may have started soon after Mob of the Dead's release, and the jumpscare and Nero aren't related, and it's all one big coincidence. During the DLC Season, I think we should look out for a resemblance to the Origins jumpscare just in case. You never know with Treyarch. It holds no water. That jumpscare looks nothing like him and it stemmed from them being at the same angle in a trailer. As I always say, if its anyone its Maxis because it happens when you aim over at the orange fireworks that represent him, it actually does look like it is another image of him and it would have been made at the same time that Maxis image was made. Lines under the eyes, head lines, beard, even the same nose shape. While it is true that Origins was being made around this time, this honestly looks nothing like Maxis to me. I think it would be more likely for it to be no one and just a random picture, than for it to be Maxis. 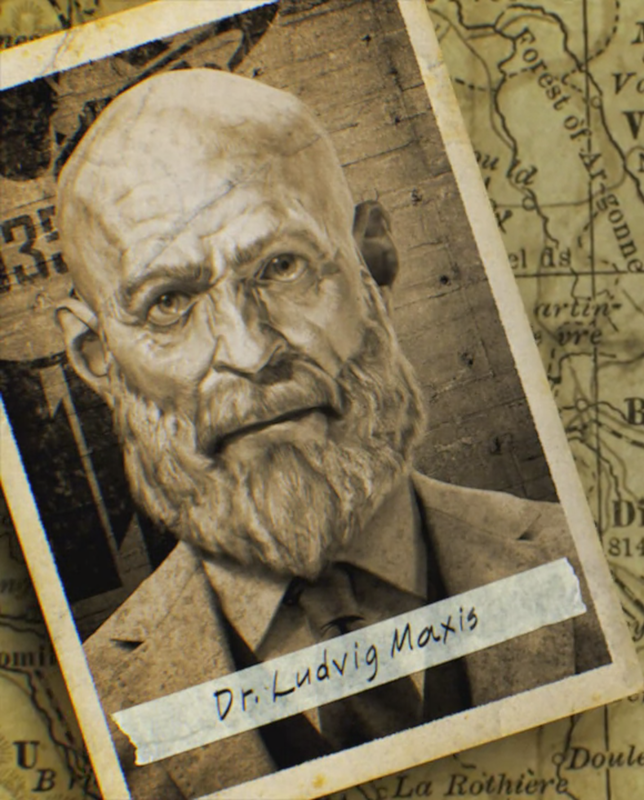 We don't even know if it is a beard the jumpscare has, since we can't see the full face, but if it is a mustache, then it's possible it looks different because they may have been early on in the development of the map, and of course that would mean they would only have just started developing the elements of the map. Again, the same explanation could be used for the nose, To me, the lines on each of the faces match up more with Nero's as well, than Maxis'. Hopefully we find out for sure, come November 6th. You can see facial hair and it looks more like Maxis' than Nero. I have always been able to see a resemblance and thought it was Maxis before I even knew what he looked like. I have looked at Nero and this picture for an hour straight before and its not the same, its grasping at straws saying the nose is the same. I don't usually say a theory has more likelihood of being true but the nose shape is the same, they both have wrinkles, they both have facial hair covering at least their top lip and the biggest kicker is its on Maxis' fireworks side. Theres no way this is going to be Nero, its literally telling us that its him. It being Nero really has no logic besides one of those nonsensical youtube videos comparing two pictures that looked nothing alike. Again, I don't see the resemblance between Maxis and the jumpscare, and you don't see one between Nero and the jumpscare either. But you can't rule out that it definitely isn't Nero, just like I can't say it definitely isn't Maxis. The fireworks being orange on one side, and blue on the other, while very interesting, is just speculation and it doesn't necessarily mean it is representing Richtofen's and Maxis' side. I doubt we'll be able to convince each other of the opposite, so how about we just agree to disagree? The noses are different. Also the fireworks definitely reference the struggle between them considering in both maps before the lights are those colours that represent them. I am not gonna agree to disagree, otherwise we'll get nowhere with this story. The noses are the same, you can clearly see that. There is no reason you shouldn't at least entertain the idea, other than if you don't want to be wrong. The only proof I have heard that its Nero is that video that doesn't make sense to do with the trailer. The code for it says its a zombie. The code for the Origins one says its a dog, your point is? XD I would laugh after all of this if they never put thought into what they are. Yes, they are. But I've already given a possible explanation as to why that may be. It's entirely possible it is, but there's no proof that this is the case. The reason I proposed we do that, is because what is the point of trying to convince each other of something we don't believe? There's no reason you shouldn't at least entertain the idea, other than if you don't want to be wrong. I've no problem with being proved wrong on subjects. 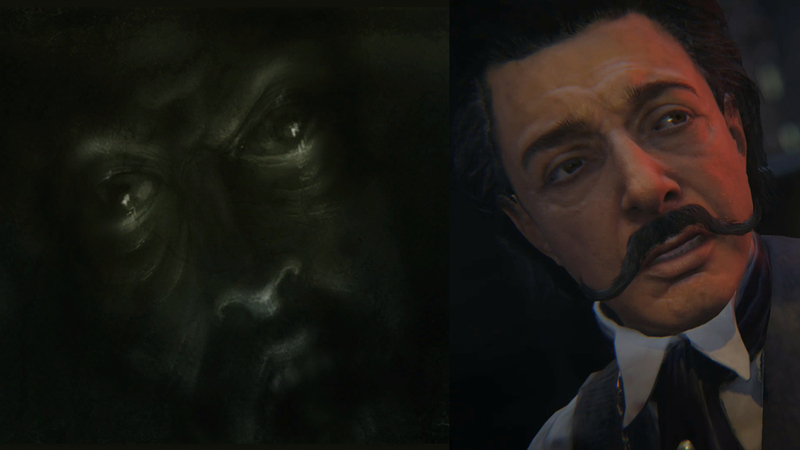 I've compared the pictures of Maxis and the jumpscare, and I don't see much of a resemblance, compared to with Nero and the jumpscare. The only proof I have heard that its Nero is that video that doesn't make sense to do with the trailer. Sorry, but what video are you referring to? @Boom Oh, really? That's interesting, thanks for letting us know. Unfortunately I think that happened more than we think.